Well the gun isn’t HK but the targets are! 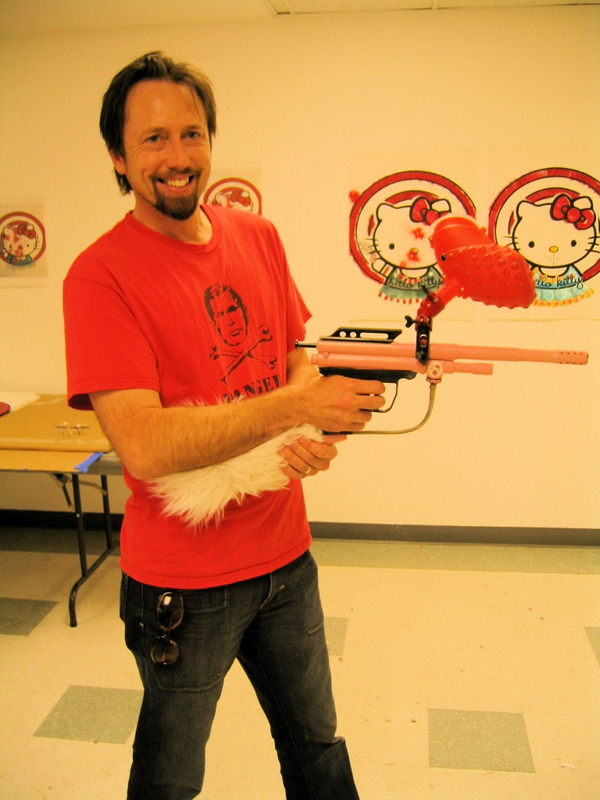 Just saying, this might not be a hello kitty gun, but a Powerpuff girls gun. Let me explain. 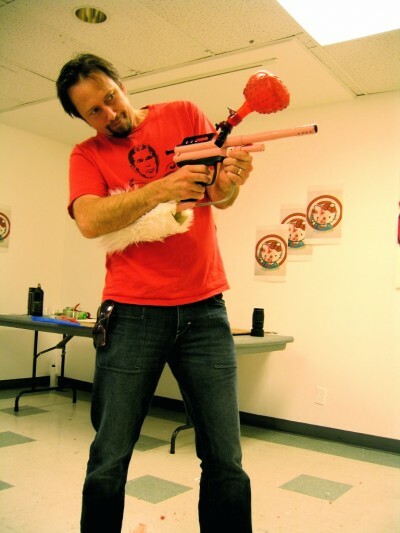 There is an all female team called the powerpuff girls, and they have a trademark of using pink equipment and paintballs that have chanel #5 perfume put in them. OMG! It’s fuzzy!! that’s….I don’t have words for it! !